My new collection of Limited Edition ornaments are made by me from polymer clay. 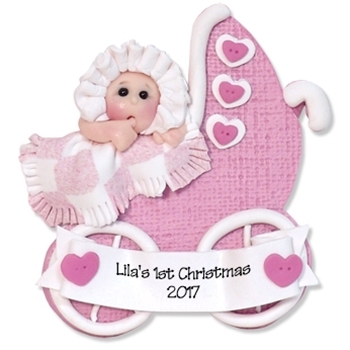 This darling baby girl ornament is perfect for any baby girl. This is an original prototype and there are only a few available. Comes complete with a hook and satin ribbon for hanging. POLYMER CLAY - Matte Finish.